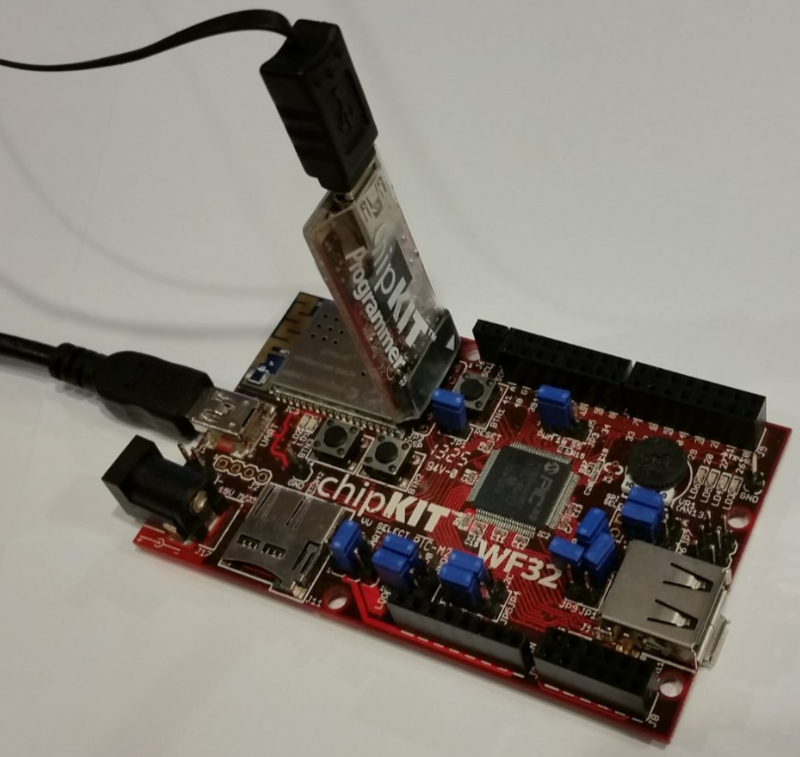 The hardware for this project uses the chipKIT WF32 board from Digilent Inc.. This board uses an FTDI USB to UART converter, which connects to the USART1 TX and RX pins (U1TX, U1RX) on the PIC32. If this is not done, the MPLAB® X IDE will not be able to find all source files, and the project will not build successfully. 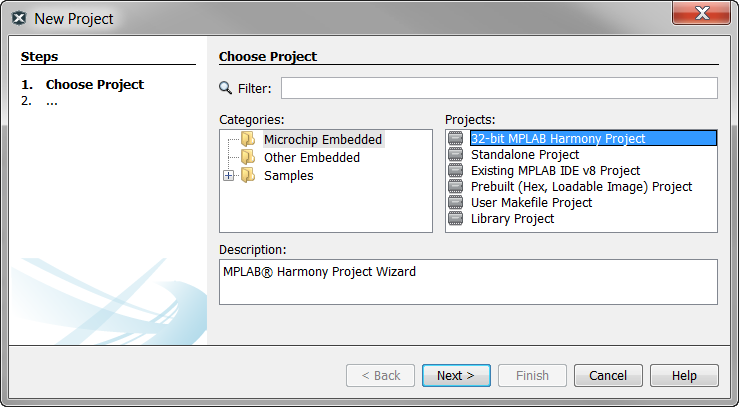 Click on the Options tab in the MPLAB® Harmony Configurator** window. Check the box beside "Use USART Driver?" Use the drop-down window to change the Driver Implementation to "Static"
Un-check the box beside "Interrupt Mode". This example demonstrates a polled implementation. Keep all other USART Driver default options. 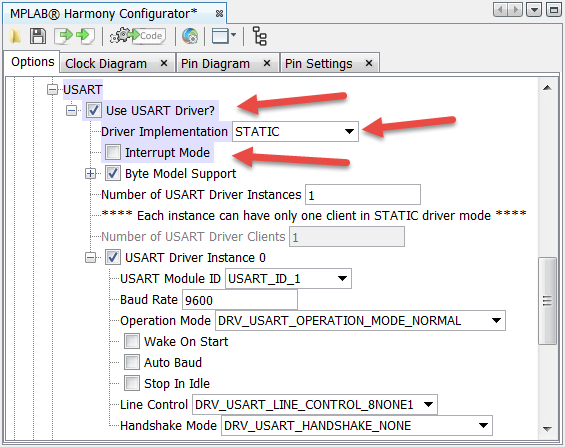 The default values create a single USART Driver instance (USART Driver Instance 0). This instance has been configured to use the PIC32 USART peripheral named USART1 (USART Module ID: USART_ID_1). Add application states and application variables to your project. Open the app.h file, and create two new states in the APP_STATES enumeration (near line # 87). These new states will be added to your application state machine in the APP_Tasks() function. In the app.h file (near line #113), add two new application variables to the APP_DATA structure (tx_byte and rx_byte). These will be used to hold the data you will transmit and receive. 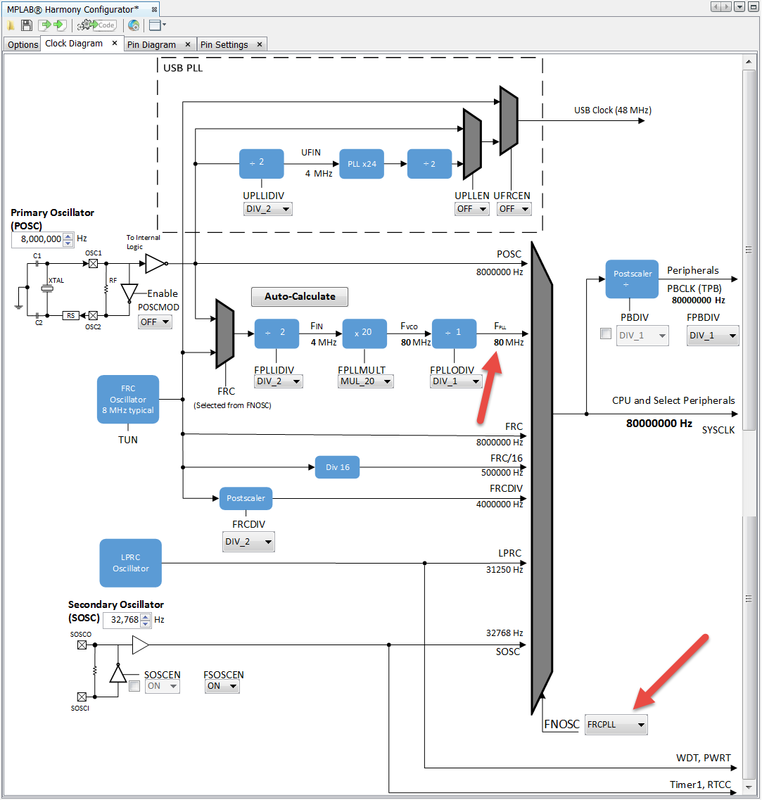 Add the transmit and receive states to your application state machine. In the app.c file, find the APP_Tasks() function (near line # 135). Remove the existing APP_STATE_SERVICE_TASKS state. Also replace the transition to this state as shown at the end of the APP_STATE_INIT state. Add the following code below to add the transmit and receive states to the application state machine. The mini USB cable is used to power the board, and to send and receive characters on the USART. Your development board is now ready to send and receive characters on the USART. 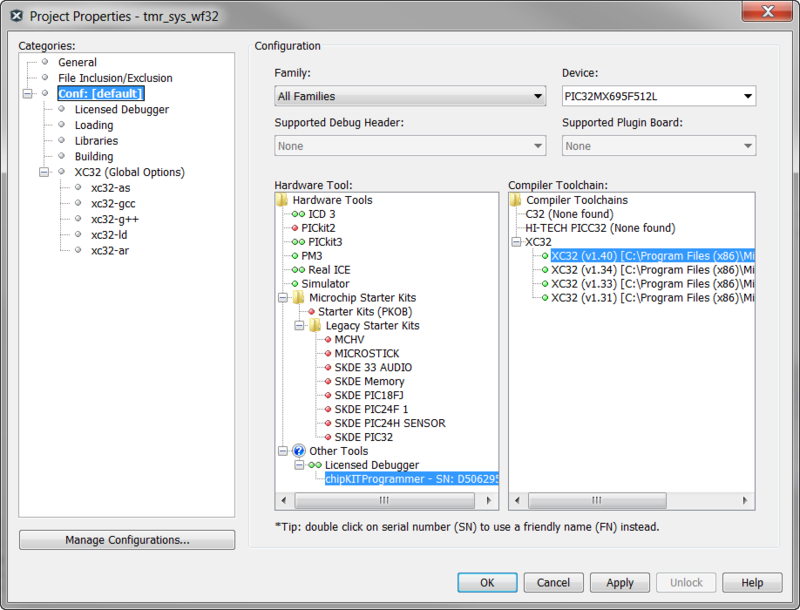 Start your terminal emulation program with the following configuration to test the results. Note how the PIC32 increments the ASCII value of the character you transmit by one, before echoing it back to you. You now have the ability to communicate with the PIC32 over the USART. This can be particularly useful while debugging (e.g. transmit a register value, or indicate when a specific section of code is executed). 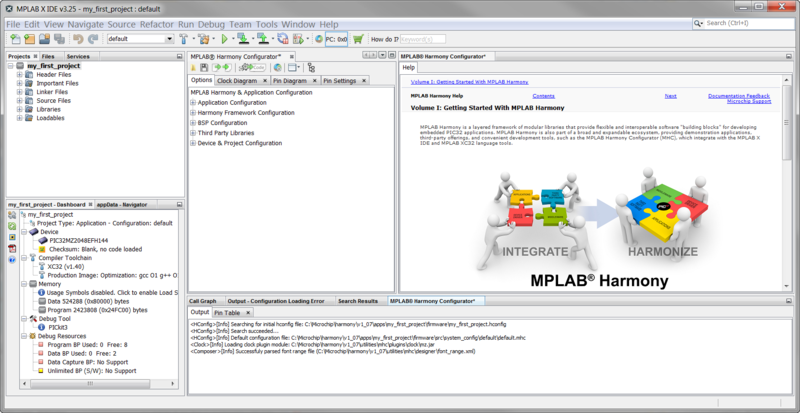 You have also learned how to add your own application variables and states to an MPLAB® Harmony project.